All India conference of regional of editors today took off at Jaipur with the call to ensure more space in media to reporting of social sector issues. Inaugurating the conference, Union Minister of Women and Child Development, Smt Maneka Sanjay Gandhi said that media is an essential partner in development process. Media takes information about government policies and programmes to the masses. It plays a critical role in providing feedback about the extent of implementation and impact of government schemes. It is also a force in shaping policy making to a large extent, she exerted. Highlighting Government’s initiatives during last 20 months to energize every aspect of national and social machinery, Smt. Maneka Gandhi said that the Government agenda is based on three guiding principles. “One we have to improve use of our natural and human resources. Two we have to create new opportunities for citizens and also give them a choice of opportunities. Three, we have to increase the quality of the life of citizens”. She said that we have seen the launch and operation of the biggest ever scheme of financial inclusion in the form of Jan Dhan Yojana. More than 20 crores bank accounts with a balance of 30,000 corers have been opened in the last 16-17 months. Under the Mudra Scheme, over 2 crore small and micro enterprises have been extended loans worth 85 thousand crore rupees. The Prime Minister Suraksha Bima Yojana and the Atal Pension scheme have extended insurance and pension benefits to over 12.5 crore persons. The Minister said that despite the signals of slow down at the global level, the country has achieved a high growth in foreign direct investments. The Make in India and Start Up India initiatives of the Prime Minister have actually unleashed entrepreneurial energy especially amongst Indian youth. Smt. Gandhi said the most important achievement of the government is that it has put in place a very ambitious long term and quantified target of national development in specific area. She said another major aspect of the government relates to the thrust on maximum governance. She expressed confidence that under the leadership of Prime Minister, Shri Narender Modi is on course to attain its position in the global space which it so well deserves. Addressing the conference Social Justice & Empowerment and Minority Affairs, Government of Rajasthan Shri Arun Chaturvedi, said the State Government has started a number of programmes for social sectors like Mukhya Mantri Jal Swavalamban Abhiyan, expansion of primary education by taking schools up to each Panchayat, ambious health care programme. He said that media can play an important role to make beneficiaries aware of these programmes. Welcoming the editors participating in the conference, Director General, Press Information Bureau, Shri Frank Noronha said that media are equal partners in development process and successes of common man in the social sector desires more space in its reporting. He said “more than 70% of the population lives in rural areas, which provides the bulk readership and viewership, hence the role of the regional and language news papers assumes a very great importance.” He said the conference is a sincere attempt to have a better outreach at the last mile through regional Media. It is also part of constants efforts of PIB to increase and strengthen the interface between the policy makers and the media. On the occasion an exhibition highlighting Government’s programmes and policies, put up by the Directorate of Advertising and Visual Publicity (DAVP) was also inaugurated by Smt. 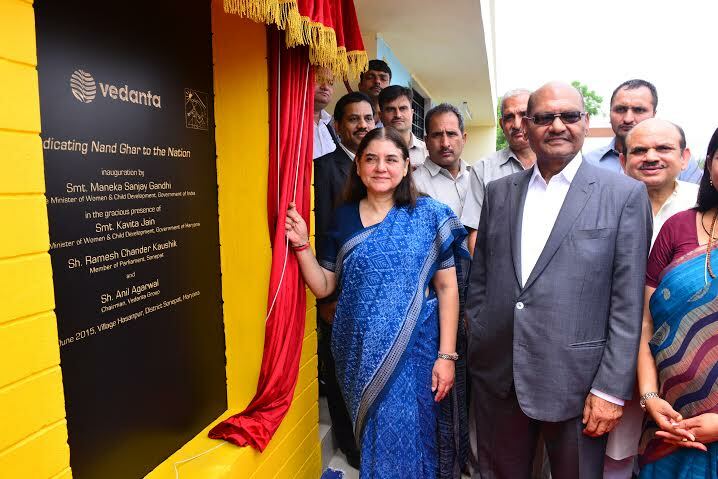 Maneka Sanjay Gandhi. The Exhibition has showcased flagship programmes of the Government in social sectors.